An article processing charge (APC) is charged to an author to make his/her publication available open access in a license based journal, so-called hybrid open access. APCs are often charged also in gold open access journals. Hanken researchers are eligible to discounts on APCs in journals published by Elsevier (50% discount on APCs), Sage (87.5% discount on APC), Emerald (no APC with a voucher), and Springer Nature (no APC) (Scroll down or click each publisher for detailed information). This is made possible by an agreement signed by the FinELib consortium and the publishers. Hanken researchers can publish their articles as (hybrid) open access to a discounted fee, provided the Hanken affiliated researcher act as the corresponding author. APCs should be assigned to the account code 4435 Open access-fees in Rondo and M2. Please inform Hanken's library when you or your co-author have paid an APC. The information is needed by the library to report OA statistics to the Ministry of Education. Please e-mail haris@hanken.fi. Remember to ensure possible publishing fees in your research funding. Hanken has no separate funding for open access publishing. Please contact Hanken's library at haris@hanken.fi. Researchers at Hanken have an opportunity to publish their articles open access with a discount on publishing fees in Elsevier journals. The discount is 50% of the journal’s APC-list price (APC=article processing charge). The list of journals includes over 1500 Elsevier owned hybrid-journals and over 100 Full OA-journals. Download the list of journals. Corresponding author of the article is affiliated to Hanken. The article is accepted to one of the journals listed here (please downnload list). 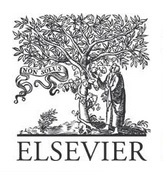 The society-owned titles published by Elsevier are not included. Please note: If you want to publish a review article open access, you need to contact Elsevier support, since the normal OA-publishing process as described below does not work. Elsevier’s APC prices are defined per journal. The prices are displayed on the APC price list and also visible on journal homepages. Please remember to ensure that you have the funding for the discounted APC payment. When the article, in which you are the corresponding author, is accepted, you will get an e-mail from Elsevier asking you to fill in the Rights and access form. Corresponding Author's organization: Start typing the name or your organization and select the correct one from the list offered by the system. If you do not find your organization's name, please contact your library for more information. If your article is going to be published in a hybrid (not full OA) journal, the system offers you two publishing options: Gold Open Access (article will be open access to everybody) and Subscription (only journal's subscribers will have access to the article). CC BY 4.0 (Attribution) Allows others distribute, remix, tweak, and build upon your work, even commercially, as long as they credit you for the original creation. CC BY-NC-ND 4.0 ((Attribution-NonCommercial-NoDerivs) Allows others to download your works and share them with others as long as they credit you, but they can’t change them in any way or use them commercially. Please note that if you choose this, more restrictive CC BY-NC-ND license, the rights to commercial use and modifications (derivatives) stay with Elsevier. Elsevier publishes the article open access. Hanken's library will be informed that you have chosen open access publishing for your article and is asked to confirm your affiliation to Elsevier. The invoice: Hanken's library sends you an e-mail asking for details needed for the invoice. The invoice is sent to the library. See also Screenshots of the Rights and Access form and FinElib's detailed instructions for Open access publishing in Elsevier journals. FinELib consortium’s agreement with Emerald offers authors an opportunity to publish their articles voucher under the CC BY-license with a free open access. This means that there is no article processing charge for the author. The vouchers can be used during the agreement term 1.1.2018-31.12.2020). The vouchers can be used for publishing in all titles in the Emerald Premier-collection. The vouchers can be used for the following article types: research paper, viewpoint, technical paper, conceptual paper, case study, literature review och general review. Also note that there is a limited amount of free vouchers annually. Finelib's page will be updated when the vouchers have been depleted. Who is eligible to use the free vouchers? The corresponding author is affiliated to Hanken and must use his/her institutional email address when submitting the manuscript. Use your institutional email address. Emerald will recognize your eligibility for a free voucher from your email domain. If you have previously used another email address in the system, please edit it accordingly. See screen shot. Declare you interest to use a free voucher to publish open access. Do this in Step 4: Details and Comments. Tic the box ”Yes, I want to publish my article as Open Access and my institution is eligible for a prepaid APC-voucher”. See screen shot. You will receive an acceptance letter via ScholarOne. See screen shot. In addition you will receive within 30 days from the acceptance letter a link to a CC BY-license. Complete the document, sign it and return it to the editor via email. Creative Commons describes the license like this: This license lets others distribute, remix, tweak, and build upon your work, even commercially, as long as they credit you for the original creation. See attachment. If all free vouchers have been used by the time your article is accepted, you can choose one of rhe following alternatives a) to publish you article as a paywalled article, or b) pay the article processing charge (list price). See also FinElib's detailed instructions for Open Access publishing in Emerald journals. The article is published in an open access journal, that does not receive subscription fee from the readers. The administrative cost of the journal may be covered by a publication fee (APC), paid by the author. The fee may vary from some tens to thousands of Euros. There are also gold open access journals that do not take a publication fee. Read more about gold open access. Also called self-archiving. A version of the article is made freely available in an institutional repository (e.g., DHanken) or a subject repository. The self-archived version is usually a post-print version, i.e., the refereed manuscript (Author Accepted Manuscript, AAM) of the article. Self-archiving is not subject to any fees. Some publishers define an embargo during which it is not allowed to publish a self-archived open access copy of the publication in question. Not all publishers apply an embargo for self-archiving. Read more about green open access and how to self-archive at Hanken. A subscription-based journal has an option of making an article openly available, provided the author pays a publication fee (APC). The final version of the article (Publisher's pdf) is made freely available on the journal's / publisher's web page immediately upon publication. The expenses for hybrid OA are often higher than the APCs in gold open access journals. Researchers at Hanken are entitled to publish their articles as Open Access in Sage journals with a discounted APC (Article Processing Charge) rate from the beginning of 2017. The discounted journals are listed in Sage Choice Titles. 1. Sage informs the author of the acceptance of the article and makes an offer to publish the article via Open Access. 2. The author completes an OA acceptance form, and at the “Promo code” box enters code ”FinELib 2017”. 3. SAGE invoices for 200 GBP instead of the standard APC rate. When the article has been accepted the author has to fill in the code in the acceptance form and see that the invoicing will take place with a discounted APC-rate (200 GBP). It is extremely important that the author will be responsible for the discount since the publisher will not make any refunds retrospectively. See also FinElib's detailed instructions for Open Access publishing in Sage Journals. FinELib consortium’s agreement with Springer Nature includes open access publishing in Springer’s hybrid titles during the agreement term 1.10.2018-31.12.2020. Hanken researchers when acting as corresponding authors are eligible to publish open access under the agreement and do not need to pay an APC (article processing charge). The agreement covers hybrid titles in the Springer Compact collection, see list of titles (also includes information open access licenses offered, and whether the title is in Springer’s standard or non-standard publishing workflow). 1. Once your article has been accepted, you will receive a link to the My Publication system. 2. Choose your affiliation: The names are in English. Select Hanken School of Economics. You can also search by typing the city or country and the system will prompt institution names. 3. You will see the Green Box describing the FinELib agreement (an example using Aalto University). 4. Agree to the open access license used by the journal title. CC BY 4.0 - Creative Commons describes the license like this: This license lets others distribute, remix, tweak, and build upon your work, even commercially, as long as they credit you for the original creation. CC BY-NC 4.0 - Creative Commons describes the license like this: This license lets others remix, tweak, and build upon your work non-commercially, and although their new works must also acknowledge you and be non-commercial, they don’t have to license their derivative works on the same terms. 5. Order color figures, offprints or posters if you like. Note that you will personally be charged for them, Hanken’s agreement only covers the article processing charge (APC). 6. Fill in your contact information in the “Your Affiliation” form. 7. Send the order. Your price is 0 EUR unless you have ordered color figures, offprints or posters. 8. Hanken library will receive a request from Springer and verify your affiliation with Hanken. 9. Springer will publish your article open access. It is assumed that all corresponding authors will want to publish open access. If this is not the case with you, complete the My Publication process and then contact Hanken library. You will then receive a new link to My Publication and your article will be published behind a paywall. 1. The process varies by journal title. 2. Mention Hanken School of Economics and use your Hanken email address in all communications with the journal. 4. Hanken library will receive a request from Springer and verify your affiliation with Hanken. 5. Springer will publish your article open access. See also FinElib's detailed instructions for Open Access Publishing in Springer Nature journals. The hybrid open access model is sometimes also referred to as "double dipping" since the university pays twice. The journal charges a subscription fee, and on top of that also a publication fee to publish open access. The expenses for hybrid OA are often higher than the APCs in gold open access journals. Hybrid OA is therefore sometimes looked upon as a problematic open access model.